Here is a good news for those who are new to fatherhood. 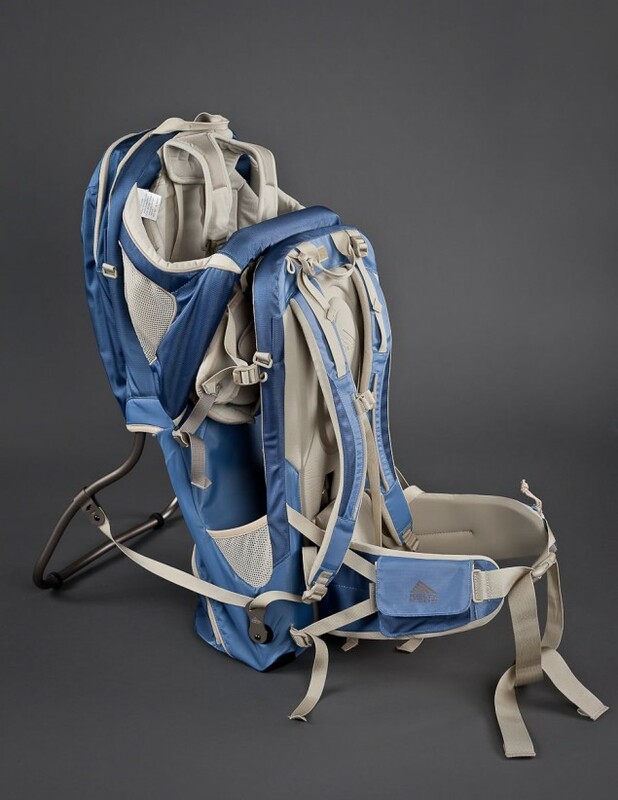 Kelty FC 3.0 child carrier is designed to help Fathers go on their active lifestyle while keeping their children comfortable on their back. To make children feel comfortable, Kelty introduced a new waist belt torso length adjustment geared towards a variety of users. It can allow your child to ride lower – this serves to create a lower center of gravity, increasing balance while further aiding in your comfort. Another highly welcomed feature of the FC 3.0: the patented auto-deploy kickstand. By engaging as soon as the pack is taken off, the auto kickstand makes loading and unloading a far less arduous task, as you can simply slide it off your shoulders and onto the ground (and vice versa). Storage wise, the Kelty FC 3.0 boasts a total of 1150 cubic inches of storage space divided between under the seat and rear compartments – an ample amount for whatever adventures you undertake. Also, Kelty FC adds a fully padded, ventilated cockpit and five-point adjustable harness in ioder to keep children comfortable and secure. In addition, the FC 3.0 also features a removable sun/rain hood along with a changing pad, offering even more protection and convenience during long treks, regardless of the weather conditions. This child carrier is priced at $249.95. Wish you raise your child more easily.